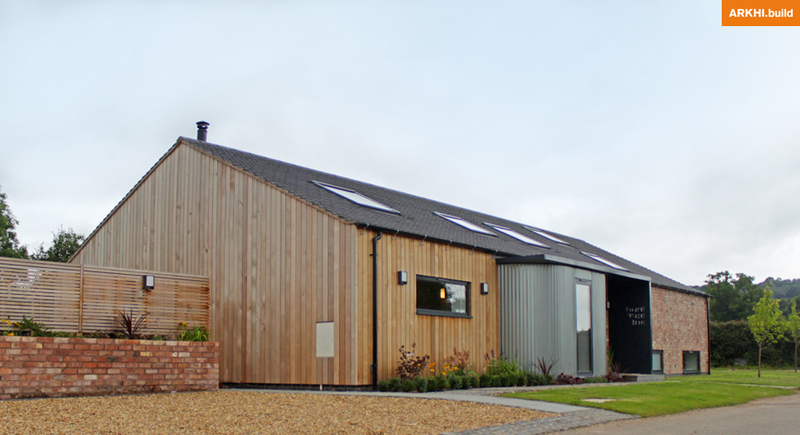 A new build dwelling on the former site of an Equestrian Barn. This building is simplistic in form, with a palette of materials which reflects the agricultural buildings in the local area. The dwelling appears single storey, however part of the building is split over two levels with a partially submerged basement and a mezzanine level. The main living space is open plan with a full-height vaulted ceiling. Large windows and a bi-fold door offer views of the surrounding landscape and flood the space with natural light. 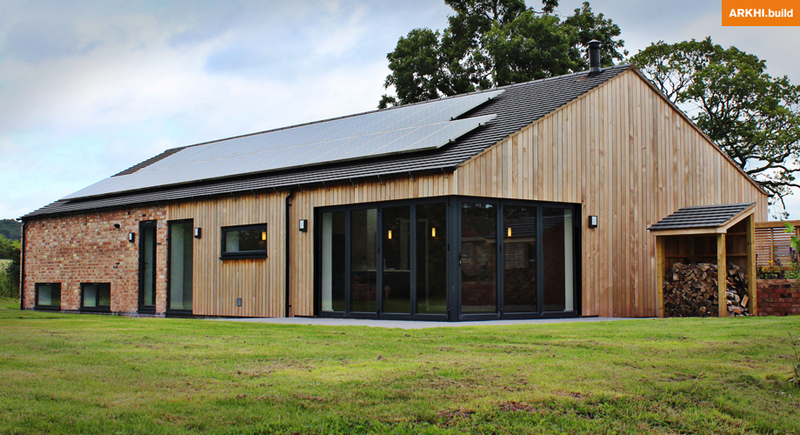 The Roof accommodates a number of Roof-lights on a North-East orientation - allowing the interior to be flood with natural light, whereas the South-West facing roof pitch is covered with Solar Panels.